Budget cuts have hampered collaboration between Scotland's highway authorities while financial pressures are likely to make the structure of 33 separate authorities unsustainable, transport bosses have said. The comments come in a response by the Road Maintenance Strategic Action Group (SAG), chaired by Scottish transport minister Humza Yousaf, to a highly critical August 2016 report by Audit Scotland. While the document addresses the individual recommendations set out in the Audit Scotland report, it argues: ‘these responses relate solely to the recommendations made and there are […] wider strategic points that need to be made’. It notes that spending on local roads has declined by 26% in real terms across the last five years as a result of the prioritisation of education and care and that current spending is insufficient to tackle a known maintenance backlog of £1.2bn while all projections suggest that there will be continued pressure on roads maintenance spending. 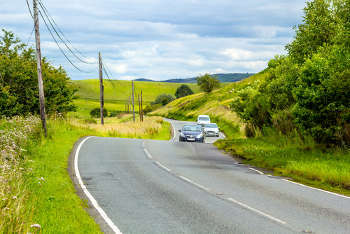 In response to Audit Scotland’s recommendation that the SAG should ‘support the development of regional arrangements for roads services’, the new document notes the establishment of voluntary cluster groups of roads authorities through the Roads Collaboration Programme (RCP), under the Governance First initiative. However, the document states that budget reductions have eroded the local authority management and change capacity necessary to develop collaboration between authorities and that ‘progress has been less rapid than envisaged’. SAG is dismissive of Audit Scotland’s recommendation that the results of user surveys can be used to develop more proactive ways of engaging with the public over roads maintenance issues, ‘and to help inform scrutiny and challenge of roads maintenance budgetary proposals’. The SAG comprises representatives from Transport Scotland; the Convention of Scottish Local Authorities (COSLA); the Society of Chief Officers of Transportation in Scotland (SCOTS); the Society of Local Authority Chief Executives (SOLACE); the Scottish Roadworks Commissioner; and the Improvement Service. Road Expo Scotland 2018 will take place at the Royal Highland Centre, Edinburgh on 31 October and 1 November. If you want to be kept informed on developments or if you wish to receive details about sponsoring or exhibiting please email Dino Dionissiou at d.dionissiou@hgluk.com.